Well, for most people, a tablet is just a tablet. “Rugged” and “consumer” are just words in the English dictionary, or rather words used to increase sells, aren’t they? Gulp. Wait, rugged or consumer, “…will it not play my music?” Yes, it will. “How about using it for internet and checking my email or tweets? Will it not do that?” Of course, yes it will. So, what it the big deal then? Why then call one “rugged” and the other “consumer”? Now, in essence, both types of tablets do have the same software functionality (often). But upon examination, you might notice that often, the rugged tablets have a higher buying price. So, now, what then causes the difference? To address this obvious confusion, we ventured to explore the finest details that we could that can help you draw a line between these two types of almost similar gadgets. A tablet is not just a tablet; let’s explore some of the reasons why you may have to look at your tablet again before you purchase it. Primarily, rugged tablets are designed to be used in cruel environments. And this is the main reason why rugged tablet are more preferable to consumer tablets. Well, you see, most people (like the military, engineers, carpenters, and artisans) work in environments that may experience extremely harsh conditions like extreme temperatures, wet surfaces or areas prone to rain, skewed surfaces or even too dusty areas. In such like environments, the normal consumer tablet may hardly survive long enough or they may require constant repairs in order to remain operational. Rugged tablets on the other hand are manufactured with the intention of use in such like environments. They are tested with standards like the MIL-STD 810 for military to ensure that they can endure such harsh conditions. 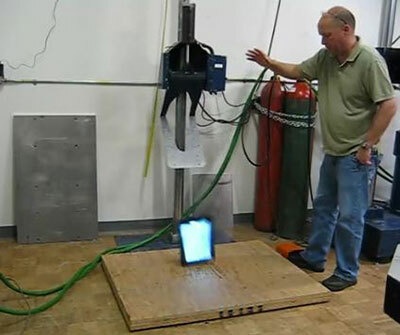 Rugged tablets are therefore tested to ensure that they can survive when submerged in water, used in extremely cold or hot areas, and they can withstand shock as well as other vibrations that the consumer tablets cannot deal with. They are also not easily affected by dust and they are made in a manner that one can use them even while wearing gloves (unlike the consumer brands). This makes them ideal in the work places. Besides the aspect of being durable, the other main reason most that people like rugged tablet is of course their long battery life when contrasted with the consumer tablets. Think about the good old Nokia 1110 that could stay just about a month without being charged. Honestly, besides the battery and the snake game, what else made that phone a trail blazer at its time? I (personally) don’t seem to find any other reason. The longer the battery life of a device the better the device will be considered. In recent times, the problem of short battery life for most consumer gadgets has created the need to introduce power banks in a bid to make the batteries stay longer or ease the ability to be recharged once depleted. Rugged tablets on the other hand have very long battery lives and in most cases can stretch thrice or ten times the battery lives of consumer tablets. In some recent types of rugged tablets, it is possible to use rugged devices in charging other devices. In that I mean, some rugged devices double up as power banks. Even though I had mentioned earlier that in software usage, both rugged and consumer tablets perform the same, there is a slight difference in the software update of the two. In that, most consumer tablets often have mandatory software updates after about every 6 to 12 months while the rugged devices may extend years before having to require a mandatory update. When contrasted with consumer tablets, rugged devices are usually heavier. Wait, that now sounds a little bad now, doesn’t it? But of course there is a tradeoff to this drawback as we will explore later on. Cost:even though the rugged tablets have a higher buying cost than consumer tablets, rugged tablets are by and large cheaper because they hardly break down. They have a longer warranty, are easier to maintain and easier to repair even when they break down. For companies, rugged devices will also save you the down-time cost. Battery:as had been noted before, rugged tablets often have a longer battery life than the consumer tablets. 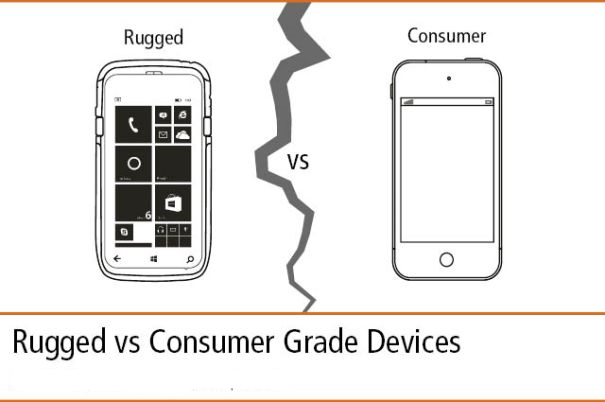 Durable:an earlier research by VDC showed that about 8.5% of rugged gadgets fail due to environmental stress as opposed to 16.7% in consumer tablets. This is a clear indication that rugged devices are made to last. Reliability:generally, the rugged devices are also more reliable than consumer tablets are they are highly tolerant to faults. They are heavier:in general, most rugged tablets are heavier than consumer tablets. This is perhaps the tradeoff for a longer battery life and a better durable casing. Often have poor designs:most rugged tablets are not very fancy by looks when contrasted with consumer tablets. Rugged tablets are not very new to the market albeit hardly available for sale. Even though their production cannot equal that of the consumer tablets, they are generally way better than the consumer tablets. This is because they undergo tests that make them viable for use in various harsh environments. They are thus very commendable devices for both personal and industrial use because they are cheaper, reliable and very efficient. Consumer tablets on the other hand are great devices for personal usage. However, when one needs to consider a long-lasting device, then there is no doubt that one might love to choose the rugged option.